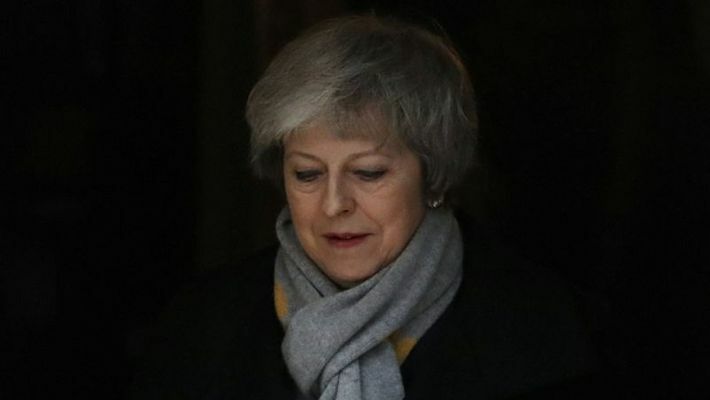 London: British lawmakers overwhelmingly rejected Prime Minister Theresa May’s divorce deal with the European Union on Tuesday, plunging the Brexit process into chaos and triggering a no-confidence vote that could topple her government. Moments after the result was announced, May said it was only right to test whether the government still had lawmakers’ support to carry on. Opposition leader Jeremy Corbyn quickly obliged, saying May’s government had lost the confidence of Parliament. The Parliament has given the government until Monday to come up with a new proposal. She faces a stark choice: Steer the country toward an abrupt “no-deal” break with the EU or try to nudge it toward a softer departure. Meanwhile, lawmakers from both government and opposition parties are trying to wrest control of the Brexit process from a paralysed government, so that lawmakers by majority vote can specify a new plan for Britain’s EU exit. But the deal was doomed by deep opposition from both sides of the divide over UK’s place in the bloc. Pro-Brexit lawmakers say the deal will leave Britain bound indefinitely to EU rules, while pro-EU politicians favor an even closer economic relationship with Europe. The most contentious section of the deal was an insurance policy known as the “backstop” designed to prevent the reintroduction of border controls between the UK’s Northern Ireland and EU member Ireland. Assurances from EU leaders that the backstop is intended as a temporary measure of last resort completely failed to win over many British skeptics.